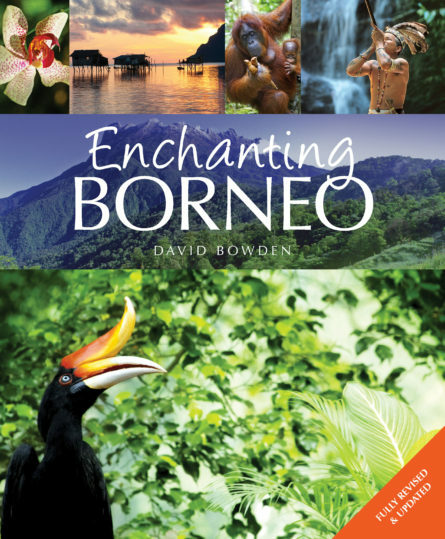 Comprising the Malaysian states of Sabah and Sarawak, the independent Sultanate of Brunei, and the Indonesian state of Kalimantan, the island of Borneo is a treasure house of natural beauty and biodiversity. Described by Charles Darwin as “one great luxuriant hothouse made by nature for herself”, Borneo is home to a rich profusion of flora and fauna, including 669 bird species; a diversity of mammals including the Proboscis Monkey, the Bornean Pygmy Elephant, and the Orang-Utan; and an immense variety of marine life, invertebrates, amphibians and reptiles. From the spectacular peak of Mount Kinabalu, the tallest mountain in Southeast Asia, to the depths of the world’s largest cave in Sarawak’s Mulu National Park, and encompassing some of the world’s most exotic wildlife watching locations along the Kinabatangan river and at Danum Valley, Borneo is an unrivalled destination for adventurous and eco travellers. Size 198 x 129mm / 7 ¾” x 5”. Extent 320 pages.